The online version of this article ( https://doi.org/10.1186/s12889-019-6576-9) contains supplementary material, which is available to authorized users. Each year approximately 3.3 million deaths occur due to the harmful use of alcohol, corresponding to 5.9% of all deaths globally . Furthermore alcohol was the leading cause of death among 15–49 year olds worldwide in 2016 . It is estimated that alcohol use lead to 167,000 years of working life lost (YWLL) in England in 2015, 16% of the total and more than that for the ten most frequent cancers combined . However alcohol is generally perceived as being comparatively less harmful by the public, particularly in terms of cancer, despite being directly linked to carcinoma of the oropharynx, larynx, oesophagus, colorectum, liver and breast [12, 13, 14]. 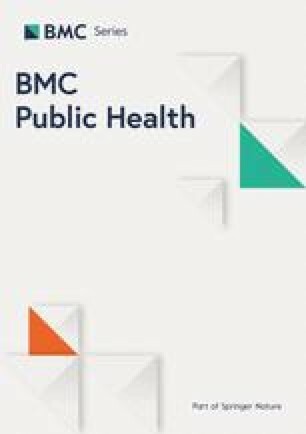 In a recent survey of 2100 adults only 13% named cancer as a health risk of hazardous drinking, and when presented with a list of alcohol-related cancers only 18 and 40% correctly identified breast and colorectal cancer respectively, despite alcohol being linked to 3200 and 4800 cases of each per year in the United Kingdom (UK) . 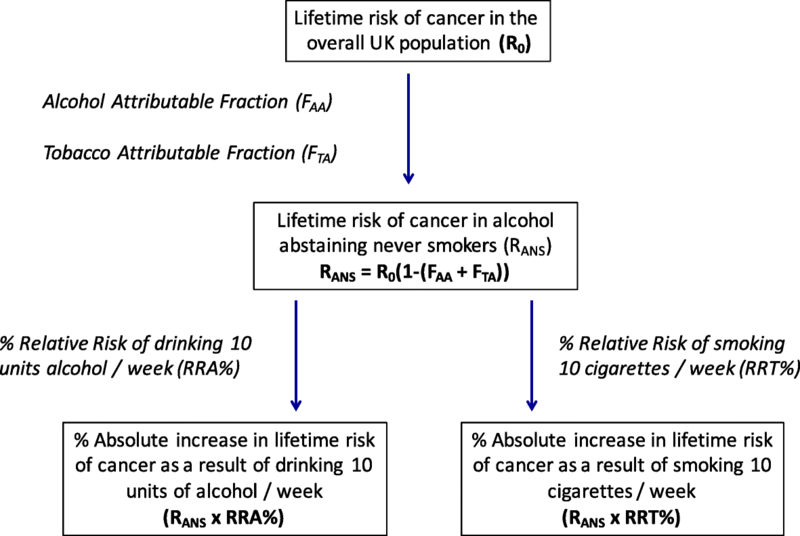 All known alcohol-related cancers have been shown to have a modest, but increased relative risk (RR) of incidence at moderate levels of drinking (Additional file 1: Table S1) [13, 14, 16]. There is now robust evidence that low levels of alcohol intake do not provide any protective health benefits , and The World Health Organisation (WHO) International Agency for Research on Cancer (IARC), World Cancer Research Fund and American Institute for Cancer Research have all stated that no level of alcohol consumption is completely safe [12, 17, 18, 19]. This led to recent reform of the 1995 UK sensible drinking guidelines to state that any level of alcohol consumption can be associated with range of cancers and there is no justification for drinking for health reasons . Cao Y, Willett WC, Rimm EB, Stampfer MJ, Giovannucci EL. 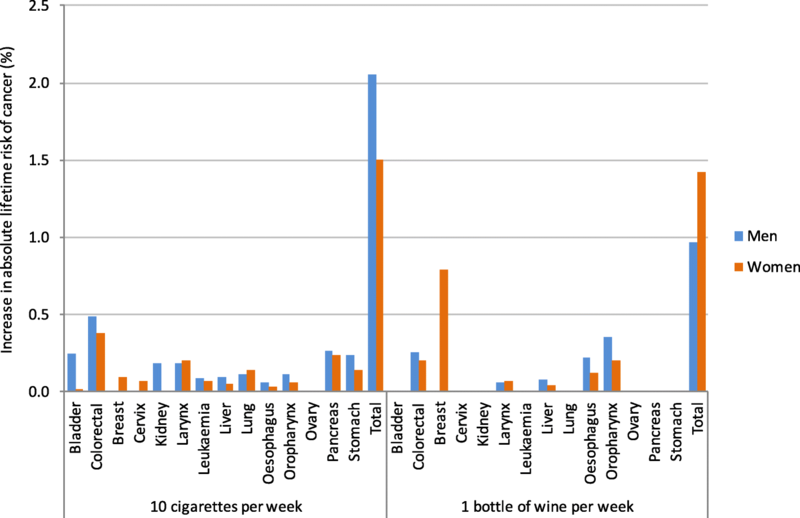 Light to moderate intake of alcohol, drinking patterns, and risk of cancer: results from two prospective US cohort studies. BMJ. 2015 Jan;351: https://doi.org/10.1136/bmj.h4238.